Can capture other things other than vomit! 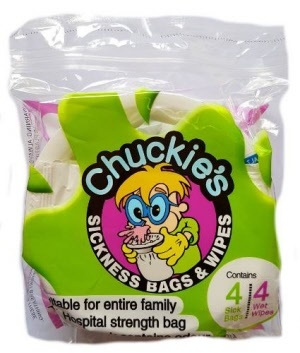 Chuckie’s® vomit bags can also be used to capture urine, making them ideal for patients and travellers of all ages, who experience those stressful ‘I can’t hold on’ moments. 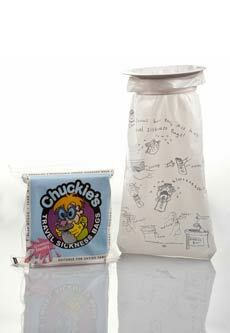 These 4 packs are perfect for carry-on luggage and a must for every medicine cabinet and car.